To get people in the mood for Christmas, the U.S. Chamber of Commerce compiled a list of the “most ridiculous” lawsuits of 2014. This lecture on abusing government resources of course comes from an organization that spent about $92 million lobbying the government in 2014. Call me ridiculous, but at least one of the “ridiculous” lawsuits is a little sympathetic. One woman, who apparently likes sprouts, was unhappy when her Jimmy Johns brand food product did not include sprouts as advertised. So she sued. Sure, it was probably not a good idea. But who hasn’t been lied to, snubbed, or otherwise dismissed when trying to give money to a company? 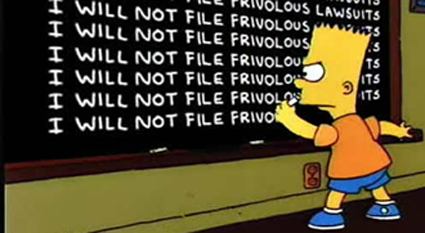 Who hasn’t wanted to summon the full force of our courts to send a message to our food product providers that we want sprouts, darn it! State Rep. Sherry Appleton, D-Poulsbo, has signed onto a measure to make the race for state Supreme Court partisan, just like the Legislature and the governor’s office. The main sponsor of the bill, prefiled Friday in advance of the Jan. 12 legislative session, is state Rep. Richard DeBolt, R-Chehalis, who is on the conservative side of the Democrat-controlled state House. Appleton is on the liberal side. However, the Seattle Times reports, the bill’s sponsors may be making a statement with the proposal. Instead of really wanting the Supreme Court race to be partisan, they are sort of slapping at the justices. Or maybe think of it as shooting rubber bands. Or maybe it’s closer to writing unflattering things about them on a lavatory wall. The Court has ruled that the state is failing its primary duty to educate kids, putting the Legislature on the hook to figure out how to fix/pay for the education system. It has also found the Legislature in contempt. Apparently, the Legislature is quaking in its boots. A Kevlar vest for a Mason County Sheriff’s Office tracking dog was bought with money donated by an anonymous Seattle Seahawk, the office announced Thursday. A 3-year-old German shepherd named Solo, who is regularly called to help track down dangerous suspects, will wear the “Storm Vest.” Solo’s handler is Deputy Justin Cotte. The vest cost $2,300, and was donated by a group called “All K9s Go To Heaven.” The group solicits donations, then purchases and donates the equipment. 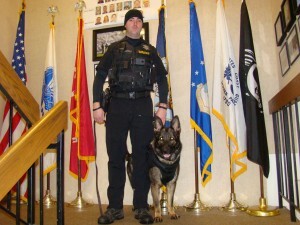 The office’s K-9 program is paid for by private donations, and the office would not be able to afford equipment like the vest, the statement said. The office has three dogs. Police dogs often are first to encounter suspects, and often enough are injured and killed in the line of duty. 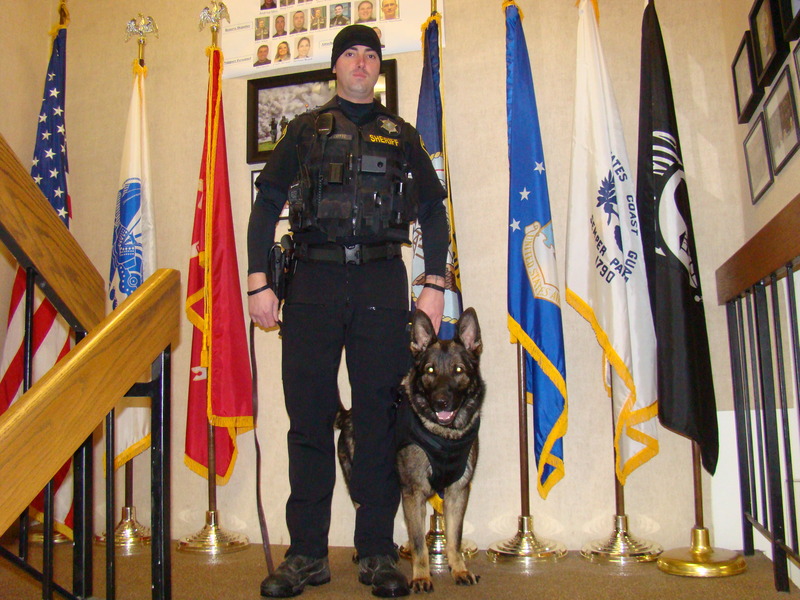 A Bremerton Police dog, Buddy, was shot and killed by a suspect in Lion’s Park in 2001. The office also has an Education K9 Team, which includes a Great Dane named Jack who often sports toenails painted pink, meant to engage students in a discussion about bullying. The state election watchdog is going to investigate allegations of improper campaign spending during the summer’s contentious county prosecutor primary. The spending in question was for $6,300 worth of advertisements which ran in the Kitsap Sun during the primary election. The money came from the union representing deputy prosecutors, which was supporting Prosecutor Russ Hauge’s unsuccessful reelection bid. A state Public Disclosure Commission spokeswoman said Wednesday the investigative process can take about three months. If violations are found to have occurred, the commission has the authority to fine those responsible – be it individuals or the Deputy Prosecutors Guild itself – up to $10,000. Here is an account of the complaint from July. Hauge made it through the primary as the top voter-getter – with Republican Tina Robinson taking second – but then lost in the Nov. 4 general election to Robinson by 1 percent of the vote. She will take over the office at the beginning of the year. Robinson and the two other primary candidates, Democrat Bob Scales and independent Bruce Danielson, signed the complaint. Hauge and former Guild President Chad Enright told the Sun at the time of the complaint that there was no cooperation between Hauge and the Guild. However, the complaint alleges in part that because the ads allegedly used material copy and pasted from Hauge’s campaign site and linked back to the campaign site, they amount to some level of coordination, which would then make the $6,300 spent count as a direct campaign contributions. If that were the case, it would be counted under state contribution limits and would exceed them. Scales said Wednesday he was frustrated that the process took so long, and may take longer still. He said the spending, which he believes was improper, did help Hauge and diluted his own advertising campaign. He also said that a complaint from Hauge’s campaign about Scales’ signs prompted an immediate response from the PDC, but the complaint he is a party to has taken months. Scales believes the investigation will find improper coordination and despite the time that has passed, a fine would serve as a deterrent to other campaigns. Lori Anderson, spokeswoman for the PDC, said when complaints are received they undergo a “triage” process, where they are evaluated to determine if some immediate action can be taken to settle the dispute. The complaint was handled the same as others, she said, and added the commission does not have additional employees to handle complaints during campaign season. She said in this case, even if the material in the ad was replaced with other images, and the links were changed or removed, the underlying allegation of improper campaign spending would not have been resolved.